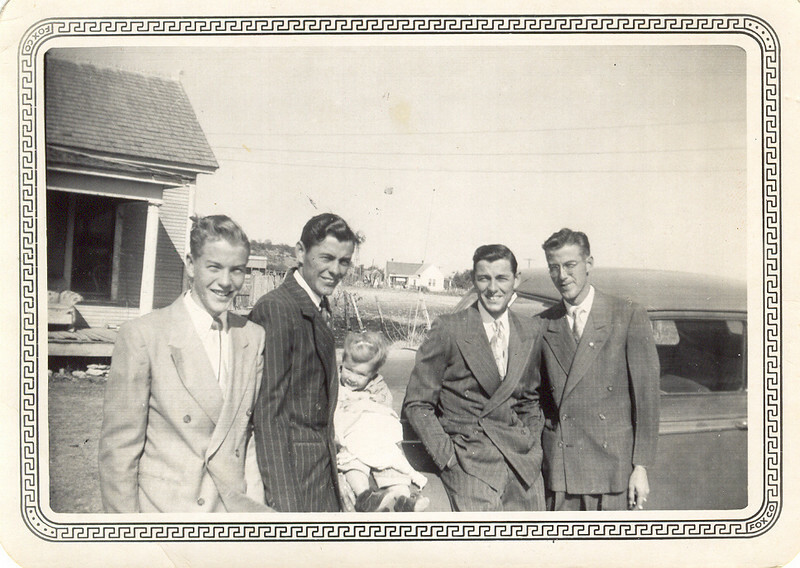 An undated photo of my dad and his three brothers. L to R: Gayle, Linuel, unknown child (probably Linuel's daughter, Carol), Dad, and Loyd. Look at those suits, would you?